Enhanced Website and Enhanced Mobile Website. Native iOS and Android Mobile Apps to be made available in iOS App Store and Android Google Play Store. 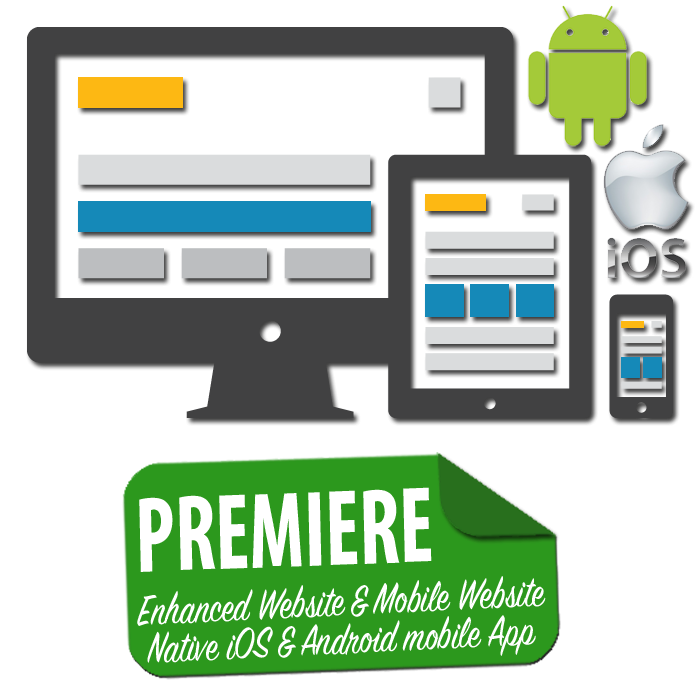 Includes all Premiere Website and App Features listed on the Pricing Page and detailed on Features Page.